A variety of programs, activities and locations for teens only; ages 11 to 16 years. 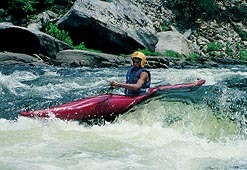 See ‘America the Beautiful’ on interesting, action packed trips. An opportunity to explore future career opportunities; hands-on, professional, real world experience. Challenging outdoor experiences that range from recreational outdoor living to wilderness survival and leadership training. Levels include beginner, intermediate, and advanced. Experience cultures of the world through meaningful community service and become sensitive to environmental issues through study and exploration. Personal challenge is combined with small group interaction. Destinations include sites across the United States, Caribbean Islands, Central & South America, Thailand, Africa, Australia, Europe, India, Cuba and more! Travel and adventure programs are available on every continent that offer exciting cultural experiences. *Student Camp and Trip Advisors serves as a camp referral agent. This service is free to families that we work with. As a referral agent, we charge a fixed percentage to any camp to which we make a referral and that child attends their camp. Student Camp and Trip Advisors charge the same percentage to all camps that receive referrals.